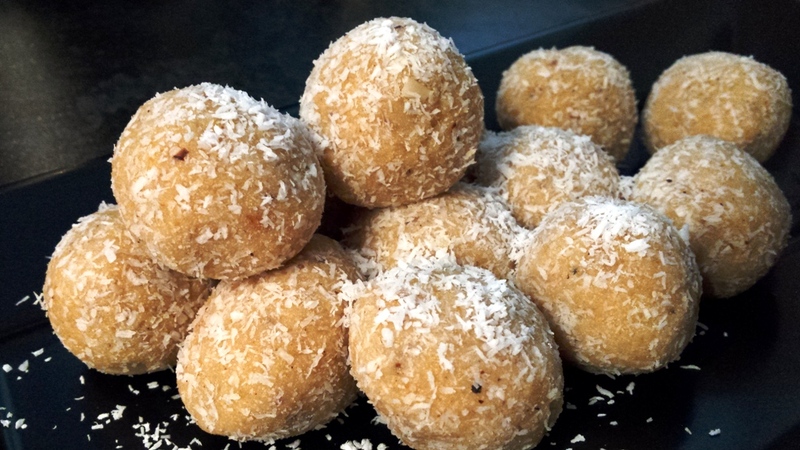 Ounde is a “ladoo” made with roasted ground rice, flavoured with cardamom, cooked in sweet milk and garnished with desiccated coconut and flaked almonds. 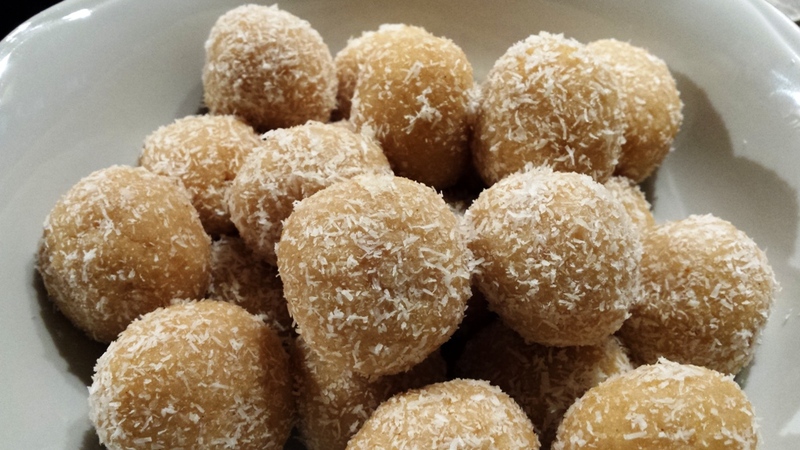 I love making these little sweet ladoos especially at the weekend washed down with a lovely cup of tea; it’s a lovely sweet way to start the weekend. It takes me back to when we were all little, and my mum would almost every day make little treats like these for us after school. 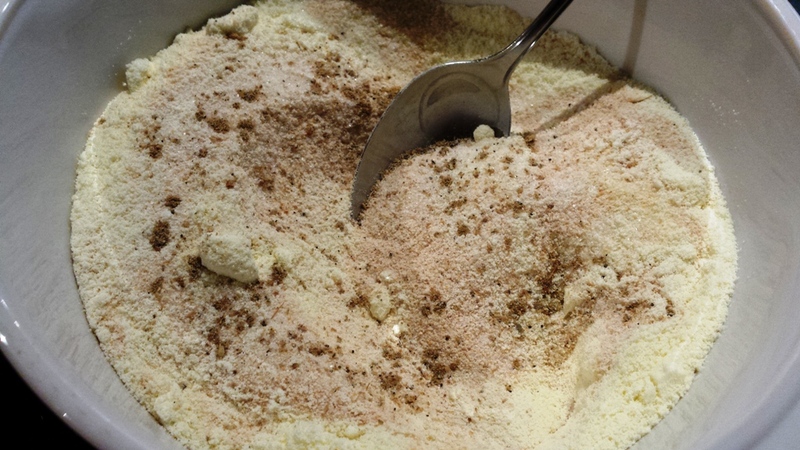 In a mixing bowl, add the ground rice, sugar, cardamom powder and mix to combine all. In a heavy pan, melt the ghee/butter, add the chopped almond. Fry them gently taking care not to let them burn. Turn the heat on low. As it starts to boil, slowly add the dry ingredients stirring regularly until it absorbs all the liquid, this will happen very quickly. Turn the heat off add the reserved tablespoon of butter, Stir rigorously. 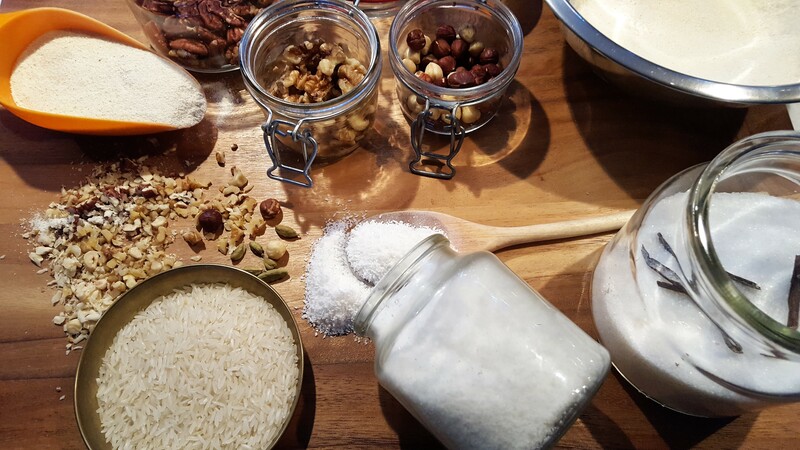 In a large tray, scatter the desiccated coconut. 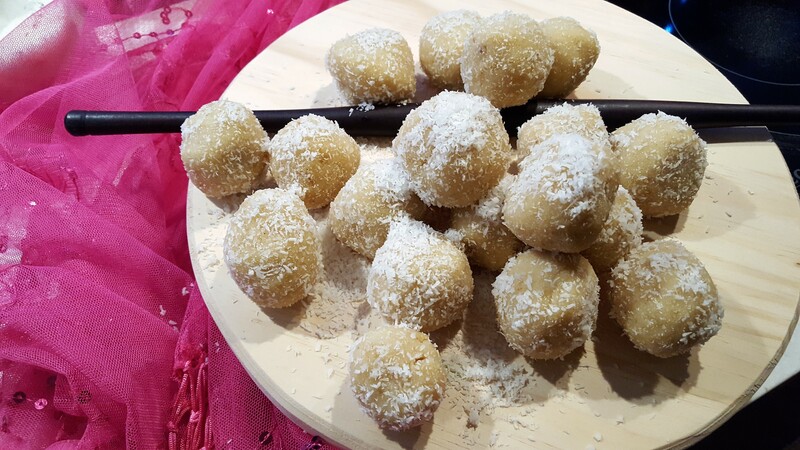 As the “Ounde” mixture cools down a bit shape into small balls. 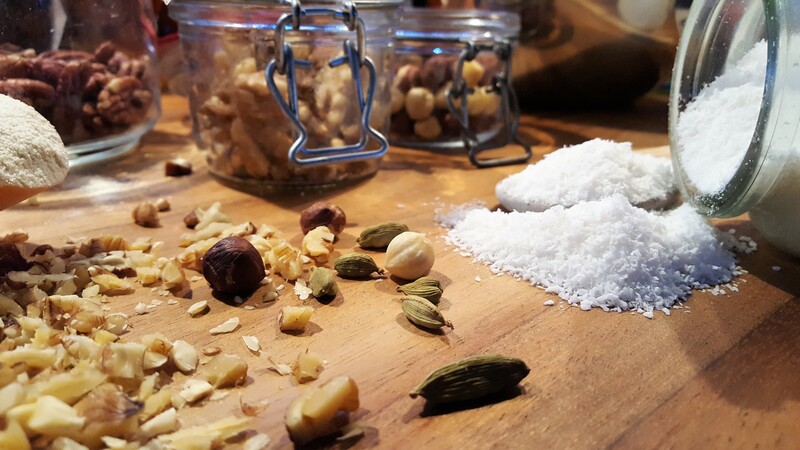 Roll in the coconut and scatter with the flaked almond or sesame seeds if using. Enjoy, can be eaten while still warm or cold. These will keep well for 2-3 days in the fridge. Brinda’s Note: Whenever I make these I always make some extra for my day time snack. As it’s made with rice, it’s quite a wholesome little snack, instead of eating other unhealthy nibbles.